The best love letters are the ones written in food … Just Saying. Chicken Cacciatore was the first properly cooked dish I learned to make. I must have been about twelve years old and was desperately infatuated with my friend’s brother. 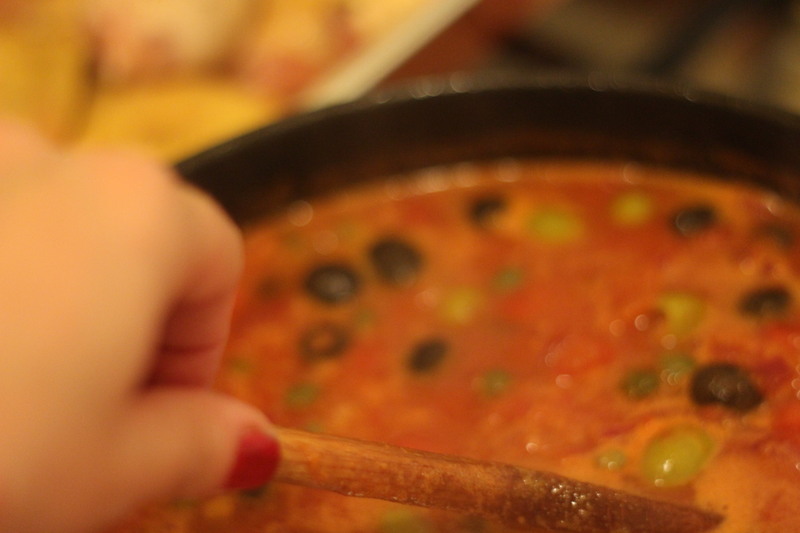 Every Friday night I used to be at their house and I would cook this dish for him, and it was not only the first dish I learned, it was also the dish that thought me how men, or boys at that time, are very much impressed by a well-cooked plate of food. My recipe for chicken cacciatore is a fluid one and changes depending on who I am cooking it for. It goes from the sweetest honey infused tomato sauce to the most tangy one studded with preserved lemons and orange zest. My current one has both honey and preserved lemons in it, maybe because where men and sauces are concerned I have finally reached some kind of balance, or maybe because I am cooking chicken Cacciatore for myself of late instead of trying to please anyone else. That is in fact a possibility, and since no one has complained so far, I’m going to keep it that way for a while. 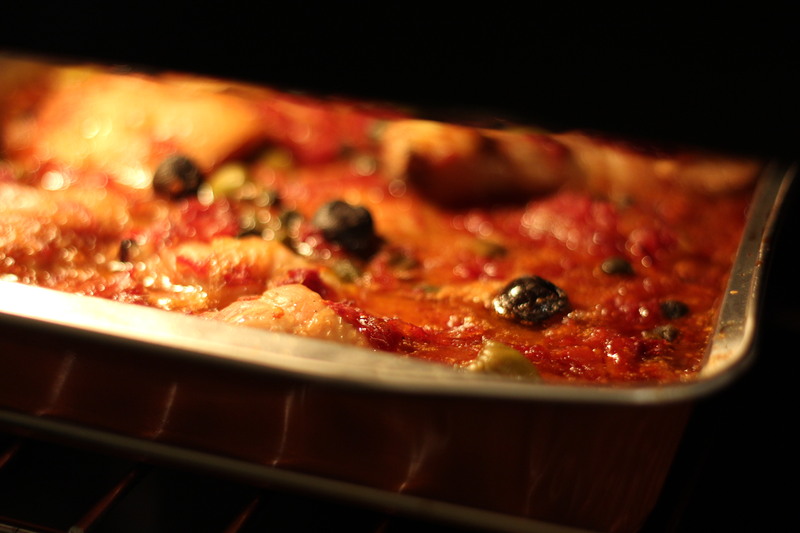 For those of you that are not familiar with this Italianate dish here is a breakdown of what you should be doing when cooking Chicken Cacciatore. Take a jointed chicken enough for a hungry party of four, do not use single cuts, instead buy a whole chicken so that you have a nice mix of white and dark flesh. It’s more interesting flavour wise and also cheaper plus you have the bones, bones give flavour to sauces, and I love munching away on them, always brushing slightly too close to a fateful death by suffocation. Shallow fry the pieces of seasoned chicken until the skin turns golden, do not discard the oil, this will be infused with the chicken flavour in order to cook the sauce. It also saves on washing up. 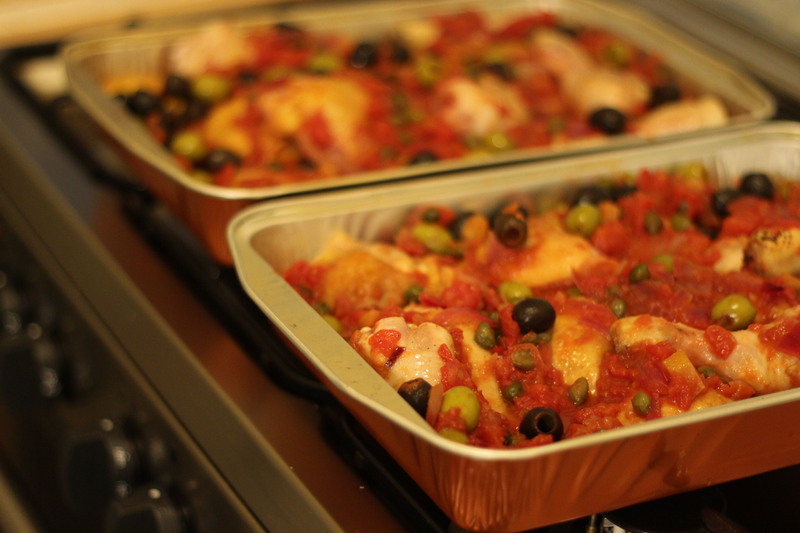 Put the partially cooked chicken pieces in an oven proof dish and start the sauce. 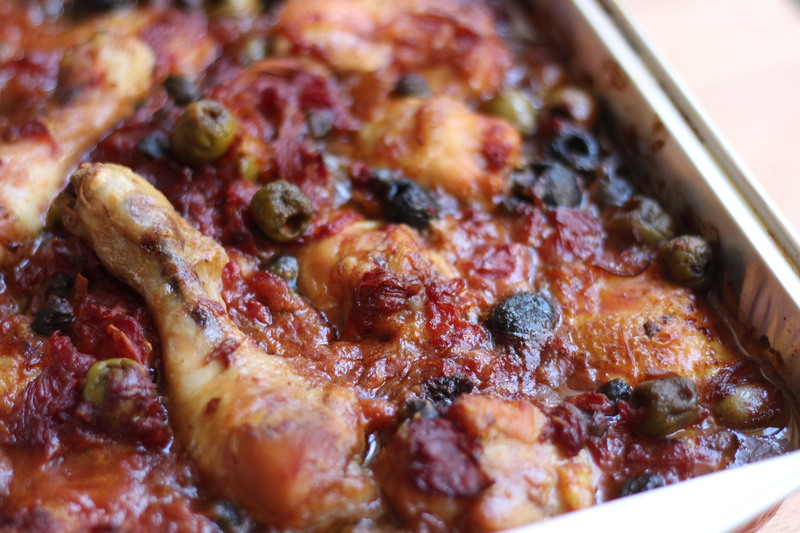 For chicken cacciatore to be authentic you need a tomato based sauce, olives and capers are a must, but for the rest of the ingredients the world is your oyster really. The version I love most is a base of fried red onions, whole grain mustard, one preserved lemon, zest of one orange, black and green olives, capers, tomato sauce, a good spoonful of honey, red wine and cook it all for a long time on the stove, low heat. As soon as the sauce is done, imbibe over the chicken but do not immerse the chicken pieces in the sauce completely, leave some exposed so that you obtain a crust of baked chicken on the top, and soft braised flesh at the bottom end of the dish. Allow a lot of time, the chicken should be for at least three hours in the oven at a temperature not exceeding the 180 degrees Celsius. It is deceivably simple to make, but it is indeed a very complex dish, that tastes even better the day after. Will cook it for you next time we meet Gary.